Emoto Music » Katie Hampton Performing at Witzend! Katie Hampton Performing at Witzend! 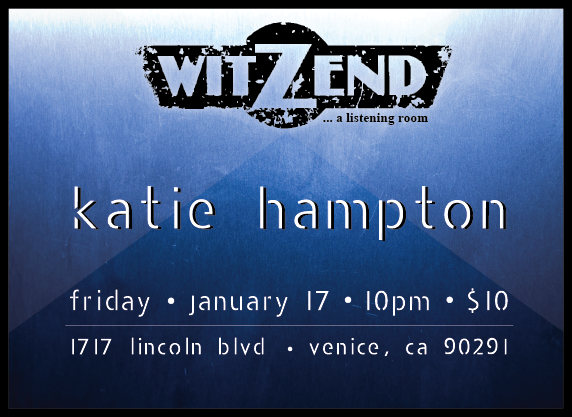 Emoto’s friend, Katie Hampton, will be playing at Witzend in Venice next Friday, January 17th @ 10pm! Start out your new year with some yummy drinks and great music!